Exact fit. Jack's is always reliable for quality. Great price, fast shipping and quality parts. It fit, it works. Could not be happier. 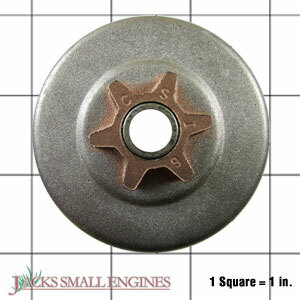 Ask us about the Husqvarna 530047061 Clutch Drum Assembly - Spur Sprocket. Please no repair questions. Your Q&A may be posted to Jackssmallengines.com to help other shoppers, like you, with their purchasing decisions. Thank you.